[TOUSSAINT, Francois-Vincent]. Manners: Translated from the french of les moeurs: wherein the Principles of Morality, or social duties...are Described in all their Branches; the Obligations of them shewn to consist in our Nature; and the Enlargement of them, strongly enforced. Printed for W. Johnston. 1749. First edition in English. xxiv, xxix-xlvi, 146, 145-211pp, . Complete despite erratic pagination. Contemporary gilt-ruled speckled calf. Lightly rubbed, upper joint split. 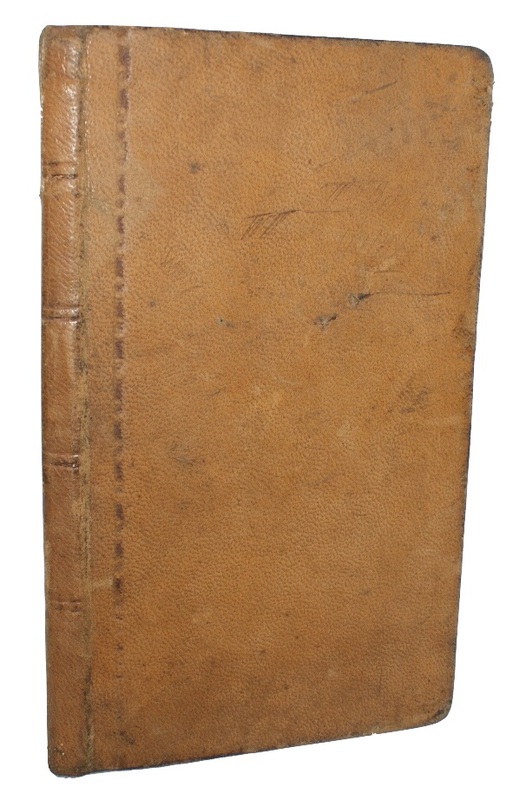 Contemporary inked ownership inscription of 'Eliz: Fitzgerald' to head of title-page, internally clean and crisp. [TREATIES]. 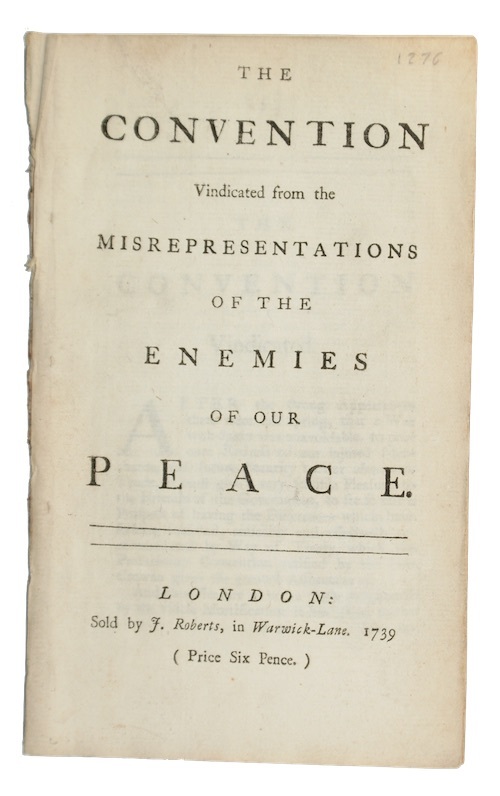 A collection of all the treaties of peace, alliance, and commerce, between great-britain and other powers, from the Revolution in 1688, to the present time. Printed for J. Almon. 1772. First edition. In two volumes. viii, 404, ; iv, 342pp. With a half-title to Vol. I and a folding table. Contemporary calf, contrasting red morocco lettering-pieces, gilt. Slight rubbing and soiling, surface loss to upper board of Vol. I, upper joint of Vol. I starting. Light marginal damp-staining to final two registers of Vol. II. From the library of the Earls of Lovelace, with ink-stamps of the Ben Damph Forest to both FEPs. [TROWBRIDGE]. Holt. Consecration & re-opening of the church of St. Katharine, by the Lord Bishop of Salisbury. Dedication of a memorial window in loving memory of Edith Mackay, for private circulation only. Printed at the "Chronicle" Printing Office. 1894. First edition. , 54pp. With three sepia-tint photographs depicting the exterior and interior of the church, and two further photographs mounted and inserted before the title showing a young lady - presumably Edith Mackay. With an information pamphlet and an order of service for the 1991 centenary loosely inserted. 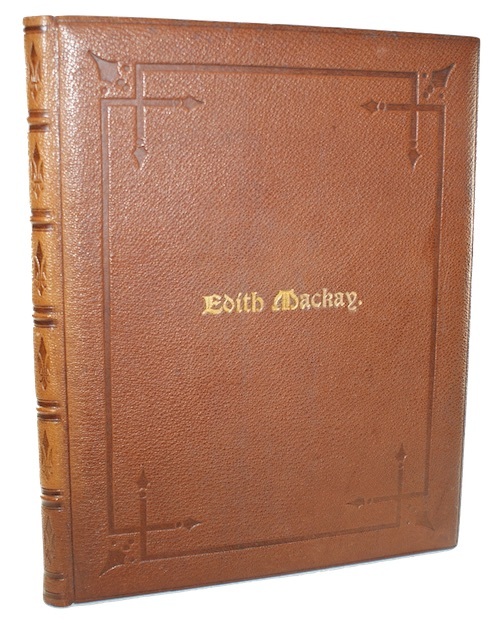 Sumptuously bound in contemporary blind-tooled brown morocco, lettered in gilt to upper board 'Edith Mackay', A.E.G. Very minor wear to extremities. Lightly foxed, else a fine copy. [TURNLEY, Joseph]. Reveries of Affection in memory of that good and beloved prince His Royal Highness the late Prince Consort who departed this life on the fourteenth day of December 1861. 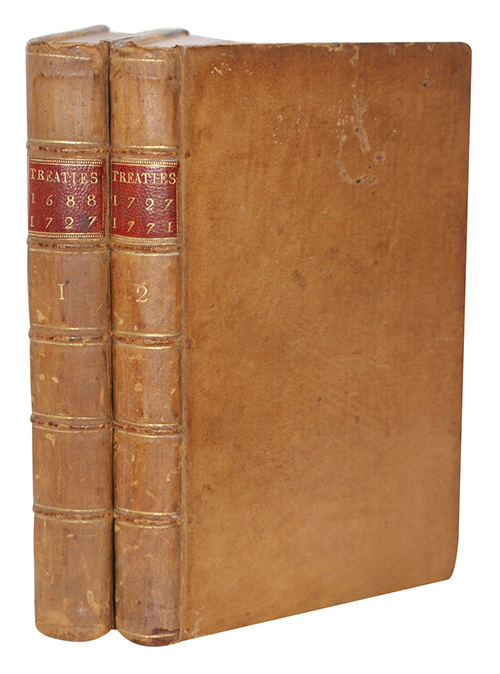 [Dalziel Brothers]. . First edition. , 95pp, . With half-title. Illustrated with four tinted prints, each page framed in gilt ruled borders. 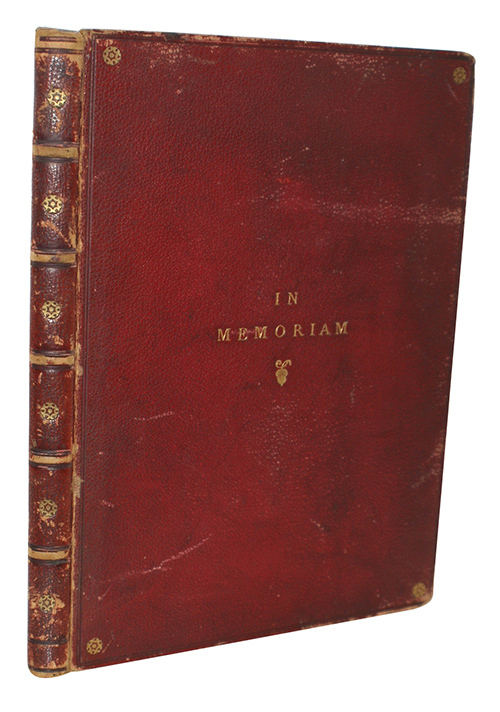 Handsomely bound by Riviere in red morocco, blind stamped in gilt with 'In Memoriam' to upper board and the Prince Consort's armorial arms to lower, A.E.G.. Extremities rubbed, in particular at joints and raised bands. Internally clean and crisp but for a little light browning in places. 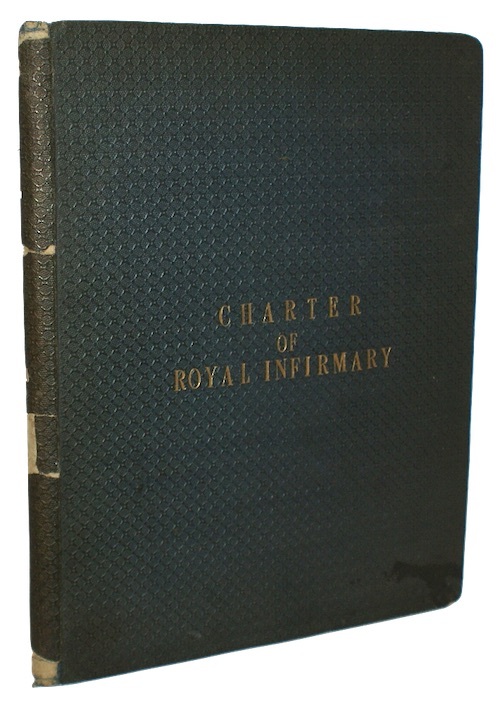 Presentation copy, inscribed to verso of FFEP, 'Presented to J. Jellicoe Esq. With the authors respect, yours humbly Joseph Turnley.' J. Jellicoe being the Royal Navy captain and father to Admiral of the Fleet John Jellicoe. Included within is a single sheet of verse dated April 19th 1915, composed by Christina Galbraith, and extolling the character of then Admiral of the Fleet, John Jellicoe. Given the date and the opening line of 'Please Sir accept this book I send...' one may assume that this charming poem was originally dispatched with a different tome. [TYTLER, Alexander Fraser]. 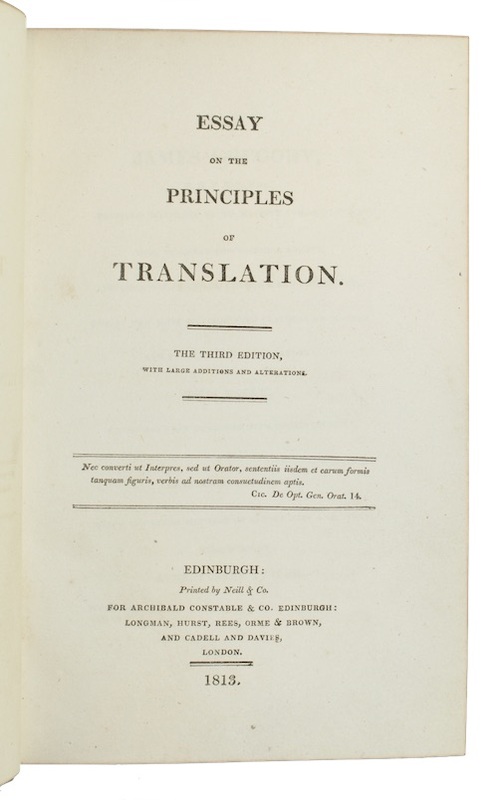 Essay on the principles of translation. 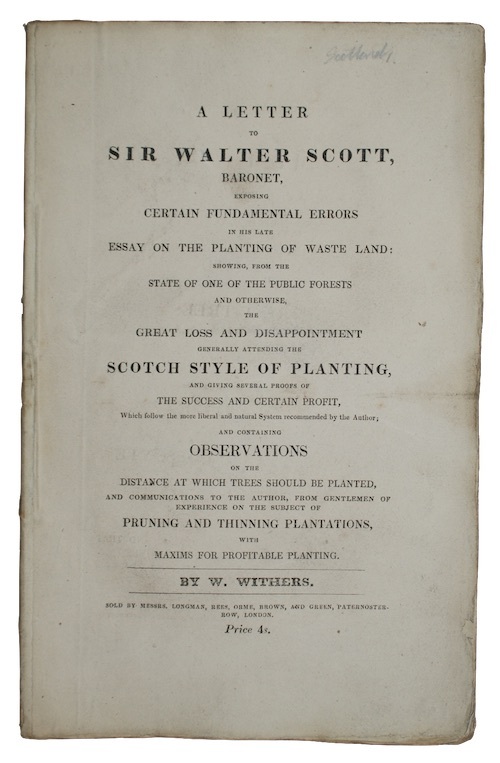 Printed by Neill & Co.. 1813. Third edition. xvi, 436pp. With half-title. 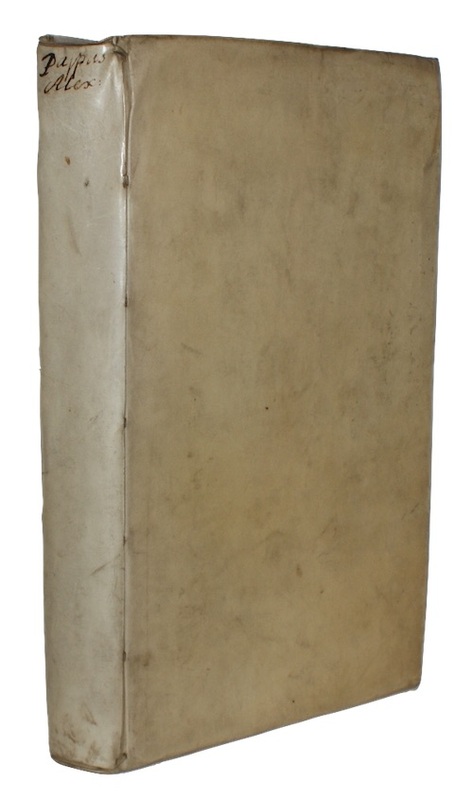 Contemporary calf, contrasting morocco lettering-piece, gilt, marbled endpapers and edges. Extremities rubbed. Slight loss to margin of Aa6, not touching text. [VALPY, Richard]. A new latin vocabulary, adapted to the best latin grammars; with tables of numeral letters, english and latin abbreviations, and the value of roman and grecian coins. Printed by A. J. Valpy. 1835. Tenth edition. viii, 100pp. Contemporary calf. Slight rubbing and soiling to extremities. Ink inscription of 'Edmund Wood (Bournhills) 14 April 1835' to FEP, occasional pencil annotations to text, sporadic dust-soiling. [VOLTAIRE]. Discorso fatto dal sig. 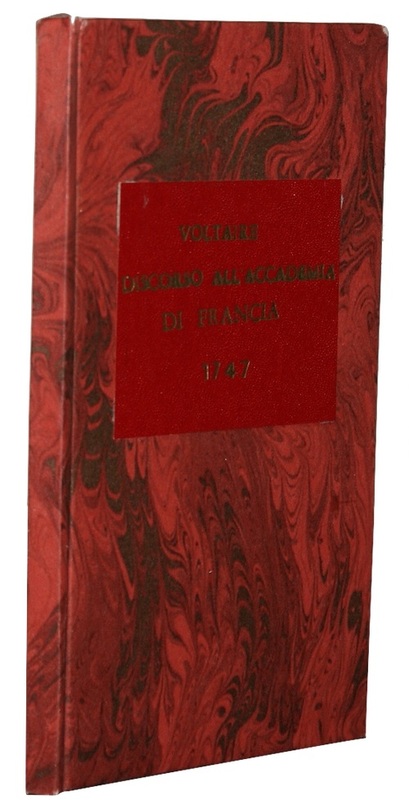 di Voltaire, istoriografo di Francia, In occasione del suo ricevimento nell' accademia Francese, In vece del Presidente Bouhier Il Lunedi 9. Maggio 1746. [s.n.]. . 35pp, . Recent marbled paper boards, red morocco lettering-piece to upper board. Slightest of wear to extremities. Occasional light foxing. 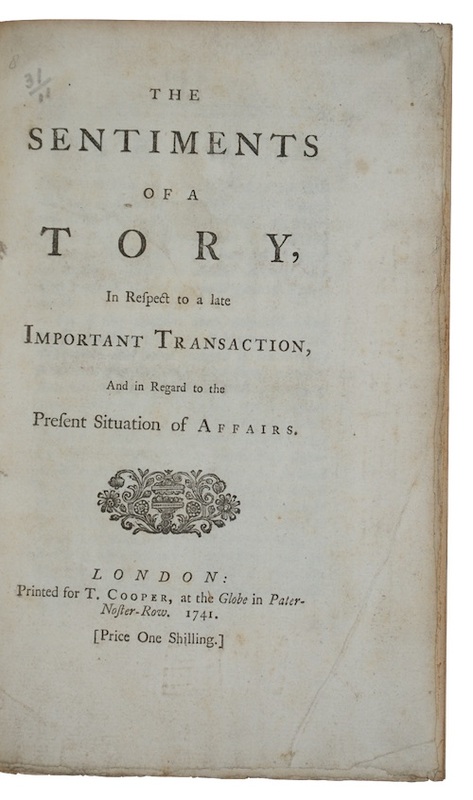 [WALPOLE, Horatio]. 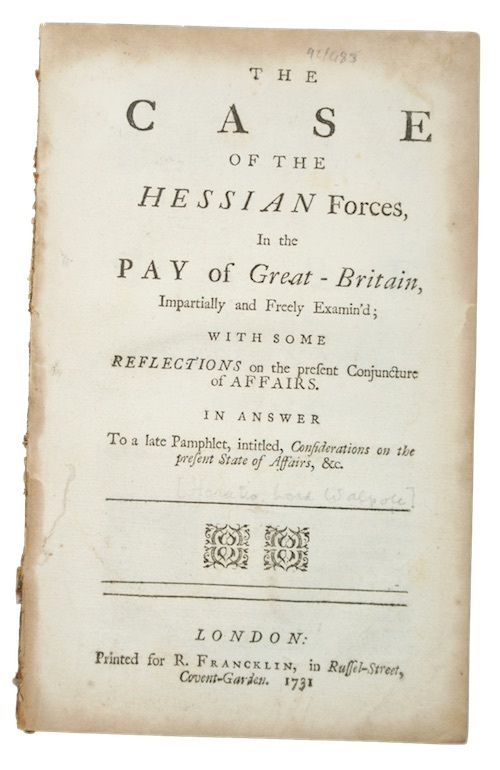 The case of the Hessian forces, in the pay of Great-Britain, impartially and freely examin'd; with some reflections on the present conjuncture of affairs... Printed for R. Francklin. 1731. First edition. 36pp. Disbound. Slight loss to head of title, occasional light browning to margins. [WALPOLE, Horatio]. The convention vindicated from the misrepresentations of the enemies of our peace. Sold by J. Roberts. 1739. First edition. 3-29pp, . Without half-title. Disbound. 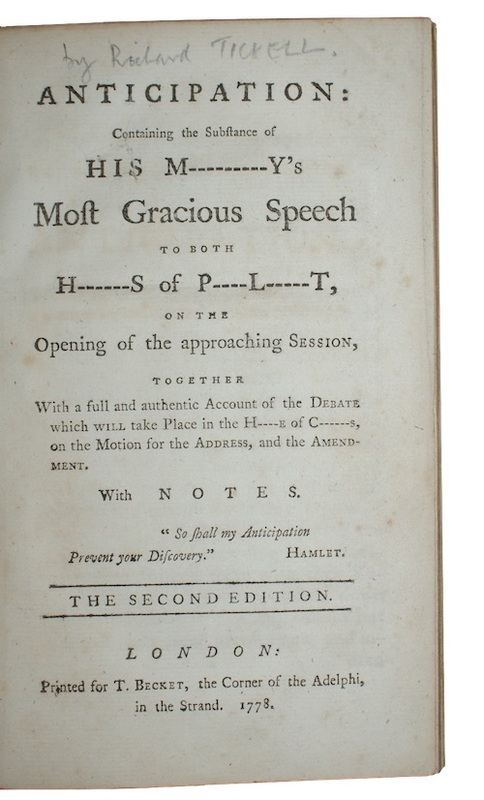 Title-page separated from text-block. [WALPOLE, Robert]. The sentiments of a tory, In respect to a late Important Transaction, And in Regard to the Present Situation of Affairs. Printed for T. Cooper. 1741. First edition. 63pp, . Recent navy morocco, blue cloth boards, lettered in gilt, T.E.G. A trifle rubbed. Marbled endpapers, title-page light dust-soiled/creased, else internally clean and crisp. [WAR OF SPANISH SUCCESSION]. 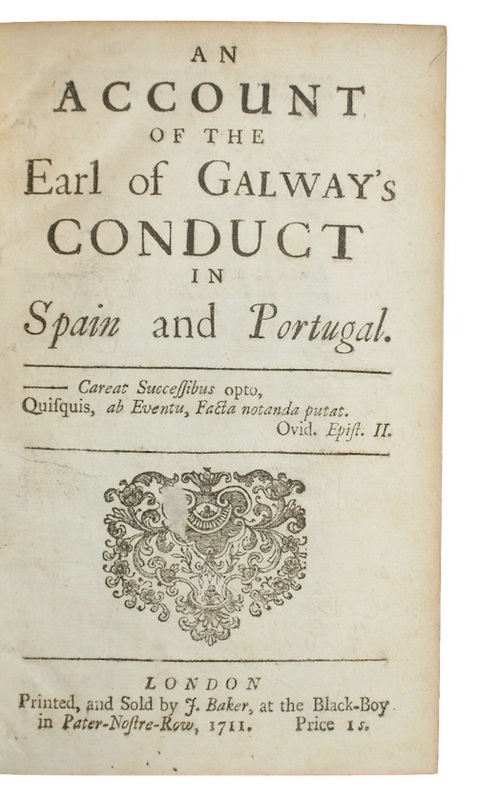 An account of the Earl of Galway's conduct in Spain and Portugal. Printed, and Sold by J. Baker. 1711.
, 88pp. 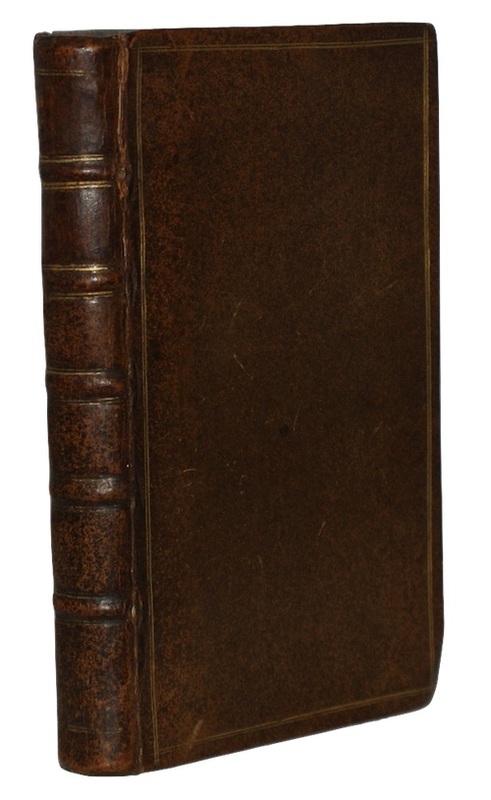 [Bound with:] A detection of the Earl of Gallway's Conduct at Almanza... London. 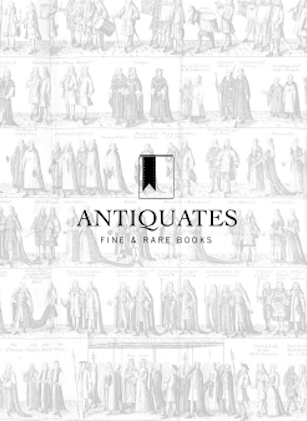 Printed for John Morphew, 1711. First edition. 15pp, . 8vo. Recent red cloth, lettered in gilt. Very slight wear to extremities. Recent endpapers, small paper flaw to title-page vignette of first work, else internally clean and crisp. [WARD, Charlotte Bickersteth]. Dawn and Sunrise: brief notices of the life and early death of barbara sophia gordon. Seeley, Jackson, and Halliday. 1870. Second edition. xvi, 144pp. 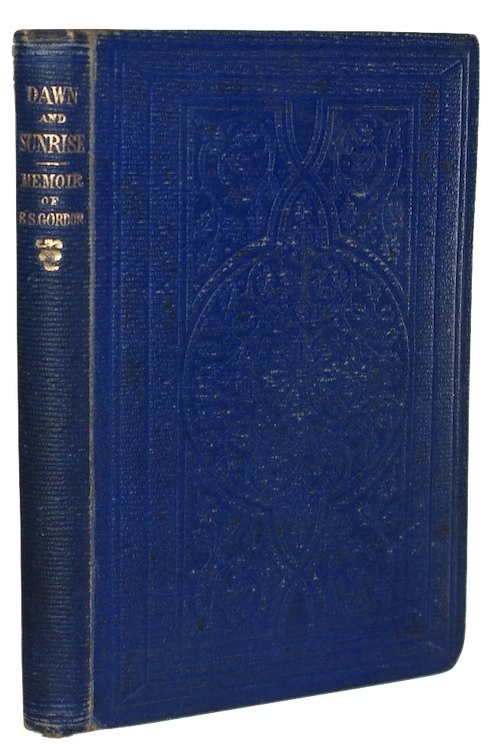 With half-title, and an engraved portrait frontispiece. 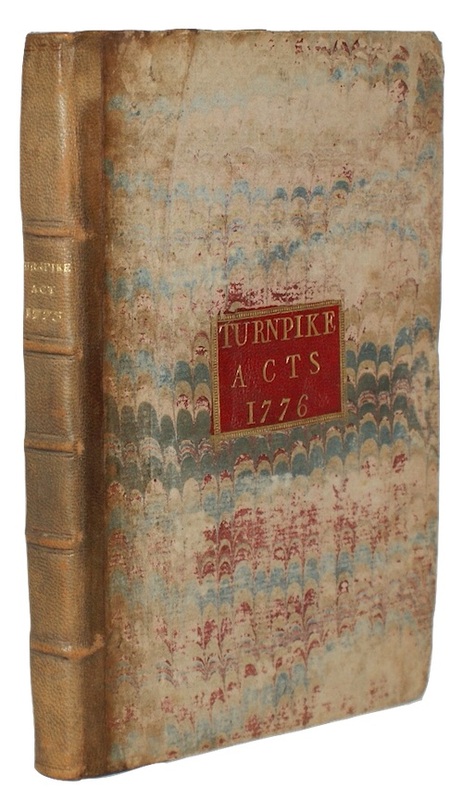 Original publisher's blind-stamped blue buckram, lettered in gilt. Lightly rubbed, slight splitting to lower joint. Later armorial bookplate of 'Henry Birkbeck' to FEP, occasional marginal chipping, foxed.